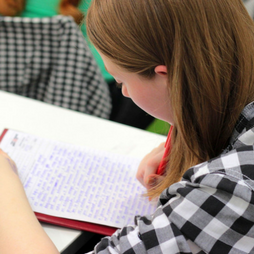 Learning how to be organised and study effectively is an important skill for secondary school students. As the new year begins, it’s important that students spend time setting their study goals for the year, organising their diaries and marking in important dates so that they are prepared for what each week holds. To assist students, we subscribe to Dr. Prue Salter’s Study Skills Handbook which provides resources, worksheets, and tips to help establish effective study habits. You can find this resource under the Quicklinks tab on our website. You can also subscribe to Prue Salter’s Youtube channel, where she has created short and easy video explanations of how to go about achieving the skills you need to help you achieve your goals. Listen to her 3 top tips below. You may also be interested in looking at her advice for parents – especially the point about how to listen to music and study effectively.